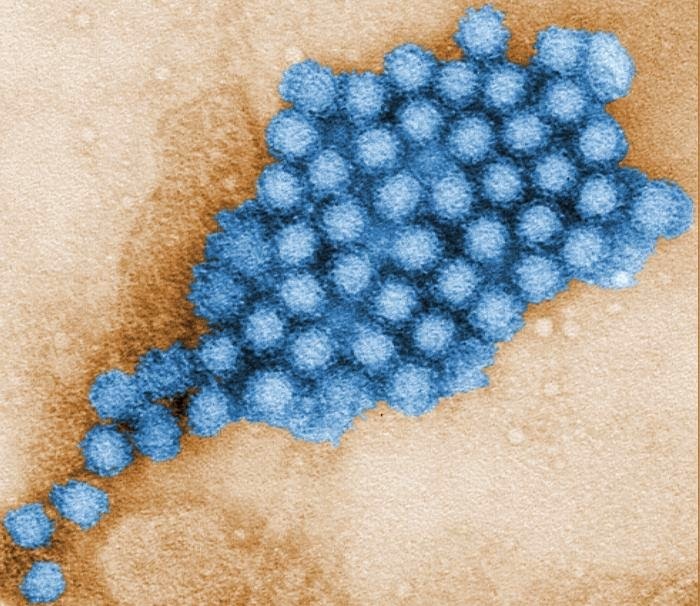 Norovirus, a non-enveloped virus, leads to most of the cases of acute gastroenteritis and foodborne illness in the U.S. Roughly 50,000-70,000 people are hospitalized and 500-800 deaths occur annually. The most interesting fact from a study conducted on norovirus outbreaks by the CDC between 2009 -2012 is that most of the cases were a result of infected food service handlers in restaurants. While cruise ships are commonly implicated in outbreaks, restaurants are far more commonly associated with this problem. Contamination during food preparation and raw foods were main causes of these cases. When food categories were implicated, vegetable row crops such as leafy vegetables, fruits and mollusks were the most common. The release of this information further reinforces the need for strict infection control and prevention steps to be taken by all food service handlers, their managers and the health department. This will help ensure the safety of restaurant patrons who deserve to be able to enjoy dining out without the worry and risk of a foodborne illness such as norovirus. Infection Control Consulting Services (ICCS) provides policies and procedures for safe handling of food. Restaurants interested in learning more about how ICCS can help keep patrons and staff safe from foodborne illness can contact ICCS by clicking here.